A Freeform Presentation Template That Gives You The Freedom To Alter The Design As Much As You Want! Presentations don’t have to be boring or bland! Whether for your business or speaking at an event, the Geometric Creative Presentation is versatile for any type of slide show. This template features vibrant colors and images that are eye-catching. You can keep the template as is and just edit the content or completely alter each slide to fit around your presentation subject. 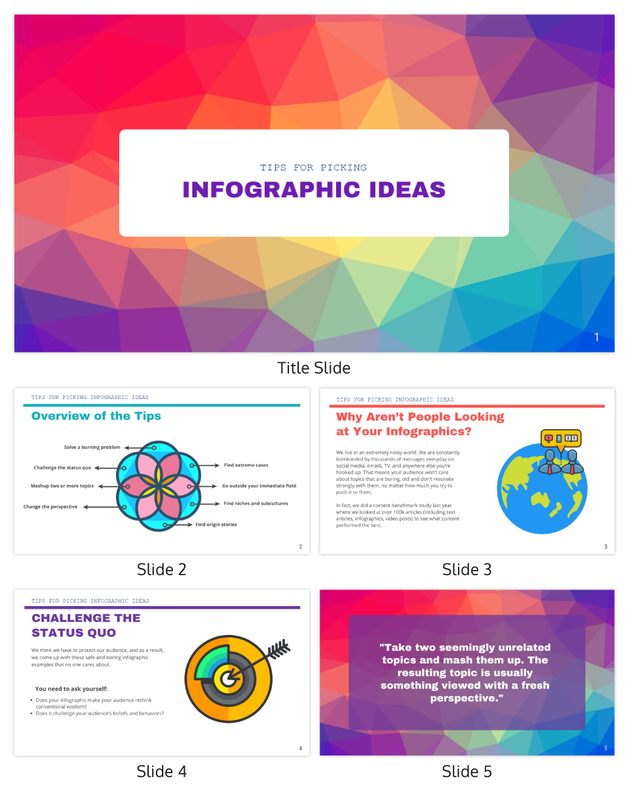 The Geometric Creative Presentation template also allows you to edit the text, font, diagrams, and illustrations. You can upload photos or insert images from our extensive gallery and add graphs, tables, and charts to display statistics. Customize the Geometric Creative Presentation for a unique and original presentation!